Every 1st and 3rd Wednesday of the month, Islington Mill Art Academy (IMAA) offer free open public sessions followed by a potluck dinner at Islington Mill. Each session is different and can include film screenings, artist talks, debate, guest speakers and more. All are welcome to attend and our next session is a very special one, a day-trip to Bradford for museums, galleries and meetings with artists and curators. Read more here. The sessions following that will take place on 1 May, 15 May, 5 June and 19 June. The content for each session will be announced nearer the date. IMAA is our free peer-led art school. It is open to anyone who wants to be an artist. 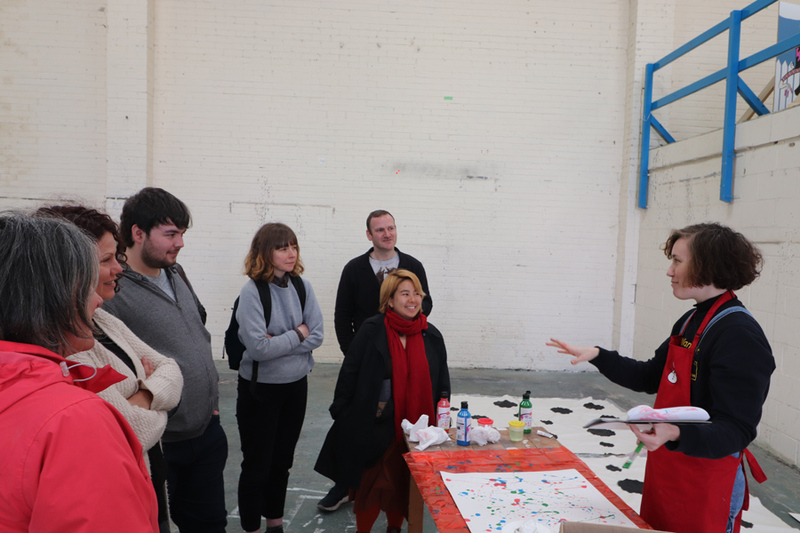 Learning activities (workshops, artist talks and studio visits, group residencies and projects, crits and feedback sessions) are shared and led by the ideas and energy of current student-members. IMAA is not formally accredited; students choose to graduate when they feel ready to work more independently as artists.